An annual event organized by West Grand Neighborhood Organization for our neighborhood. A night of safety and community. An FREE annual event organized by West Grand Neighborhood Organization for our neighborhood. A night of safety and community. There will be food, games, raffle prizes and lots of fun! Multiple organizations and businesses will be there! Sponsors of this event include: Grand Rapids Public Schools, Brann's Steakhouse & Grille and The Shade Shop, Inc.
Special guests will include the Grand Rapids Police Department and the Grand Rapids Fire Department! Last year the WGNO National Night Out had about 500-600 residents participate. Meet your neighbors and keep our neighborhood safe! 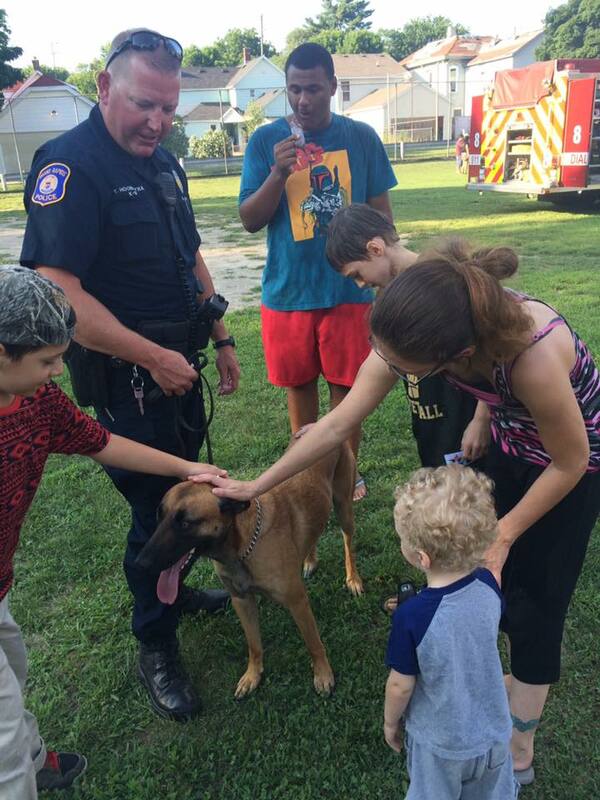 Last year over 500 residents participated in national night out with West Grand! we had over 40 volunteers! This year we hope to make it even better! In order to to put on an event of this magnitude it helps to have the support of our community partners, residents and more! There are many ways you can help! Awesome volunteers at National Night Out 2016 making hot dogs that were donated for the event by Kent Quality Meats! Donations are welcome! You can donate gift cards and prizes or other items for the raffle or the meal at the event! 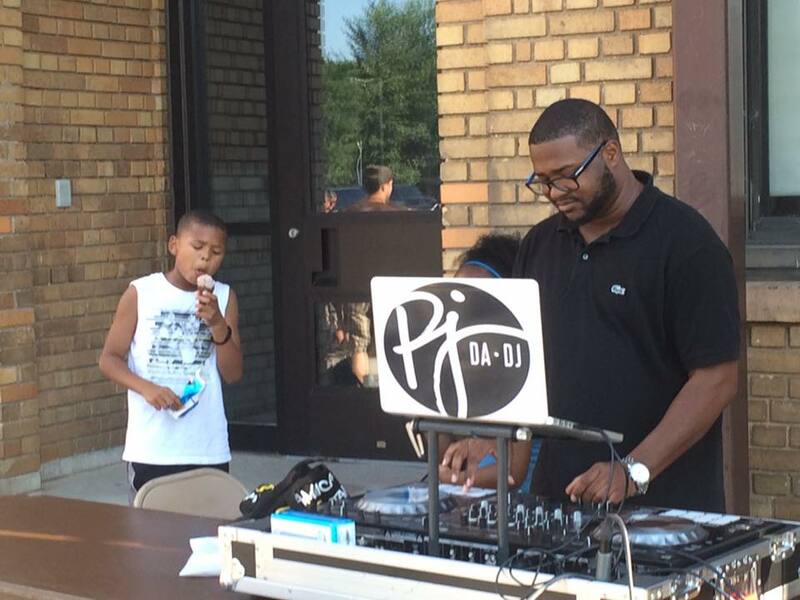 PJ Da-DJ at the 2016 National Night Out! Sponsoring the event is a great way for businesses to get involved as there are some things that are not easy to get donated that have to be paid for! This allows us to provide more food or fun at the event! For sponsoring, a business or organization will be recognized on the webpage, Facebook event and at the event as a sponsor! There are different Sponsorship levels. Volunteers are always welcome! This event needs volunteers to run games/activities, set up, tear down and more! You can wear your company/organization shirts! Vendors representing businesses and organizations at National Night Out 2017 providing games/activities and more! Want to have a booth at National Night Out! Become a member of West Grand Neighborhood Organization! Membership is good for a year, helping to support the work we do and as an Business or Organization you get 5 Community Discount cards to local businesses to give to staff. You also get our email newsletter once a month and a shout out in it when you get a membership. Vendors will be asked to have a game, activity or something to handout at their booth. Want to know more about National Night Out? Interested in Donating, Sponsoring or Volunteering for the event! Use the form below to contact us by email or call 616-451-0150! Enter your phone number if you would like to speak by phone. Please enter your email so we can contact you back. If you are a business or organization, please let us know who you are with. Thank you for contacting us about National Night Out! We will get back to you within 1-2 business days. 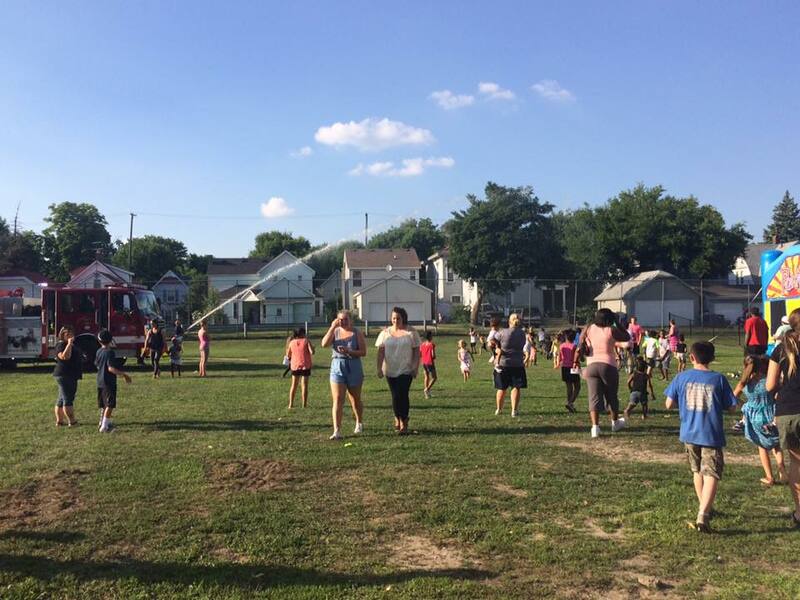 GRFD cooling off the families! 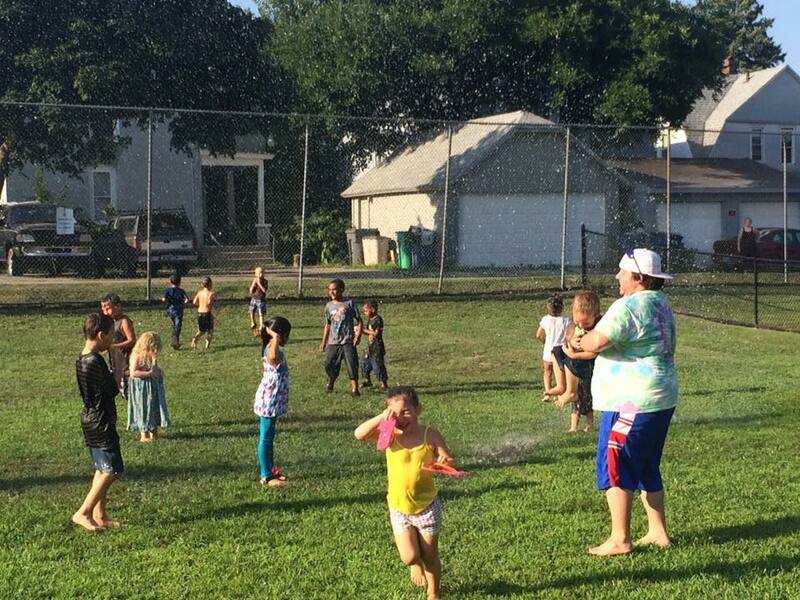 Families were treated to the Grand Rapids Fire Department cooling them off at the event! Adults and Children alike! Volunteers from Steepletown Preschool facepainting! At the 2016 National Night Out we were able to get a bounce house!